Rapper LEAF Discusses Her Involvement With The Social Entertainment Network CLAPIT To Find Emerging Talent! Countless musicians have been discovered on YouTube, but the platform is now saturated with aspiring artists. What’s a performer to do? 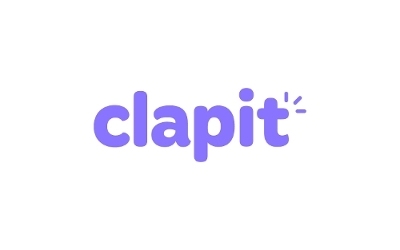 Social entertainment network, Clapit, is quickly becoming the preferred way for young, emerging talent to break through the noise and gain access to powerful mentors in the entertainment industry. Recently, Clapit launched an Open Call with 21-year-old Leaf, a popular feminist rapper. They are trying to find new rapping, singing and/or songwriting talent (the winner will also be flown to New York and spend a full day being mentored in the studio by Leaf). Auditions will take place online via the Clapit app and will end on May 12th. Amazing! Thank you for asking. This year I got a lot more focused. Last year was more of discovery, this year is the execution. Growing up, did you always want to be a musician? Can you recall your first musical memory? Could you see yourself doing anything else today? Always. Since I was 6 years old. My first musical memory would be dancing to the Spice Girls and Britney Spears in my room. I really couldn’t see myself doing anything else at all. I’d love to know what you think about the rap scene these days. How do you think it’s evolved since you started making music? How do you think you have grown as a rapper? I was lucky enough to watch the transitions of rap from the early 2000s to now because my father used to work for Hot 97. I’ve watched the music industry from the outside in and can definitely say nowadays the artist has the power and the people have the power. Social media has really helped with that and that’s why I think Clapit is so important for young kids because it gives them a platform to showcase their talents directly. What can your fans expect from your debut full-length album, “Trinity”? What are some tracks you are really looking forward to sharing with the world? Trinity is an amazing collection of songs that express who I am right now in life. 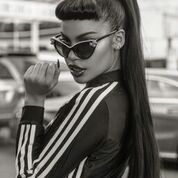 Of course, always coming from a place of female empowerment and self love, my songs are fierce but sensitive and give you that boost to go out into the world carefree. I have so many songs on there that I’m ready for the world to hear. “Gone,” “Ride Or Die,” “Call Me,” “Gimme Some.” It’s really an eclectic mix of trap and melodies. Let’s talk about your involvement with Clapit. How did you first become part of their Open Call? What does it mean to you to be able to mentor female rappers? 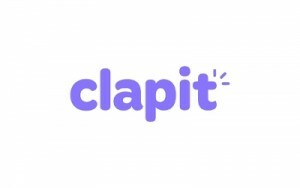 Clapit is a platform that empowers emerging artists to showcase talents they are passionate about pursuing, whether it be rapping, singing, dancing, etc. All I wanted to do when I was 12 or 13 years old was to make music, and I would have really benefited from a network like Clapit, which provides these performers with more opportunities to connect with mentors. I wanted to host Clapit’s Open Call because I want to give performers access to the mentorship that I was lucky to have as an up-and-coming artist. 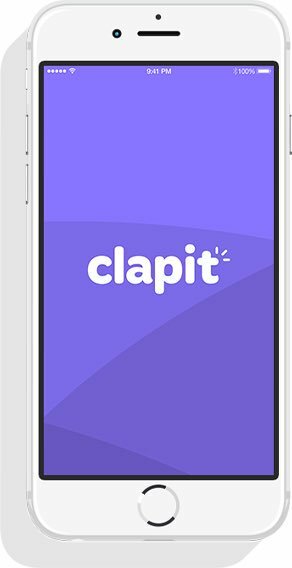 The Clapit community is a great talent discovery tool that takes away some of the friction of live auditions and improves discoverability. How has the Open Call been going so far? What kinds of talent are you finding? So sick! I’m seeing the video auditions come through because the artists include “#singit” whenever they post to Clapit. There are so many great singers, rappers and songwriters with amazing talent and original material. There has been a lot of interaction, and it is cool to facilitate all of these emerging artists. I love the submissions we’ve received so far and I look forward to more we’ll receive over the next few weeks. Make sure to clap some of them yourself! How do you think your music business experience makes you perfect for this Open Call with Clapit? What wisdom do you hope to relay to the winner of this contest? The number of female rappers – and female musicians as a whole – that are signed to record labels has decreased so much and I find this to be really disappointing. This would lead many to think they have to change something about their image or vibe and this isn’t the message that should be out there. I never truly felt like I fit in growing up, but I always managed to remain true to myself, and this has been my biggest ingredient in my music. If I could be discovered through social media by being my true self as an artist, it’s definitely possible for others! I want all of Clapit’s #singit participants to know they don’t need to change anything to stick with their passions! Do you have plans to tour this summer once the album comes out? Is there anywhere that you would love to play at? I do have plans but can’t speak on anything yet. However, stay posted on Clapit to see when I go on tour or check my Instagram! I would love to play overseas. I know I have a huge fan base over there in Europe, Asia, and Africa. Freedom and self love always. I want people to leave with the freedom to love themselves. Is there anything else that you would like to share with our readers about yourself, your music or your relationship with Clapit? 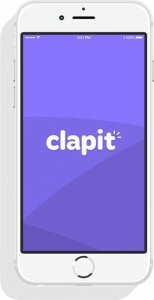 There’s no question that how artists are being discovered nowadays has shifted tremendously, and I really believe apps like Clapit are the future of talent discovery. Clapit and its Open Calls are breaking down the barriers for performers to audition and really offer a safe space for artists to share their talents with others who will be supportive. An Interview With The Powerhouse Swedish Singer-Songwriter, AMANDA FONDELL!